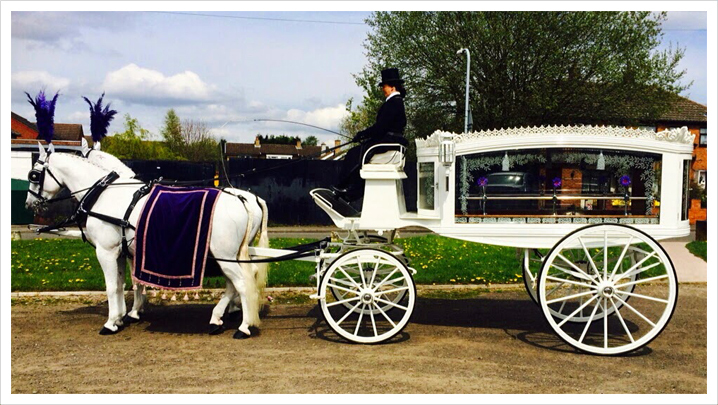 Or funeral packages are tailor made to make sure your loved one has a service that is special and unique to them. 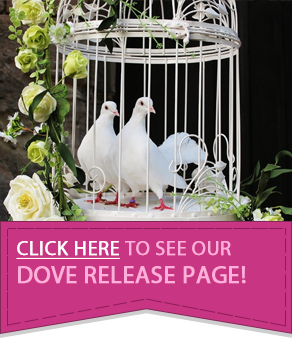 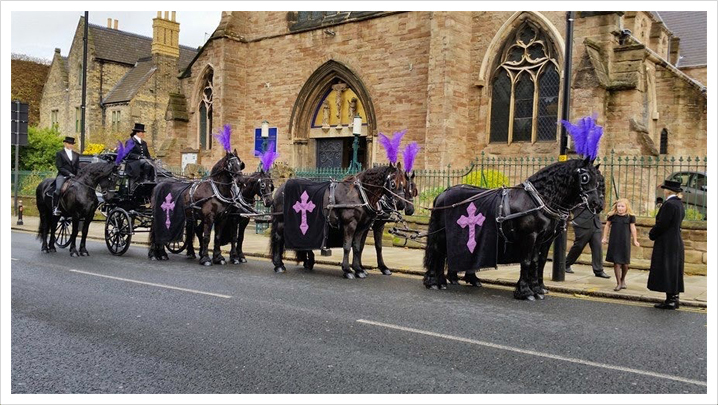 Whether you would like a traditional procession or something a little different, we are happy to create a bespoke funeral package that is perfect for your loved one. 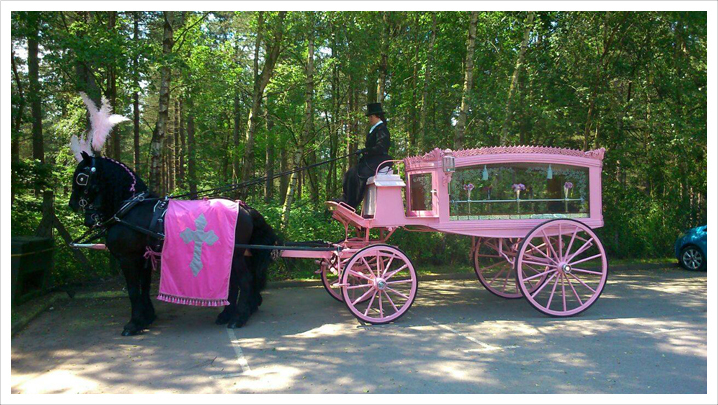 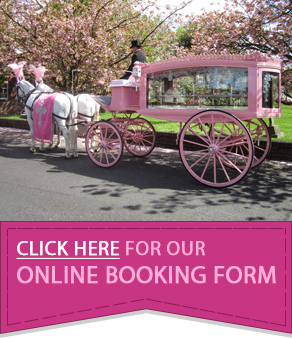 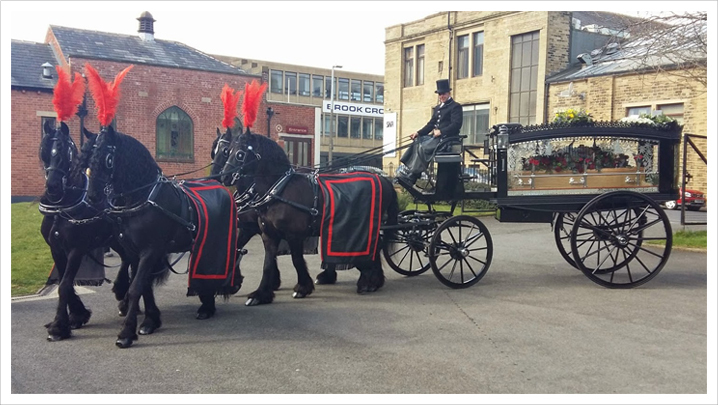 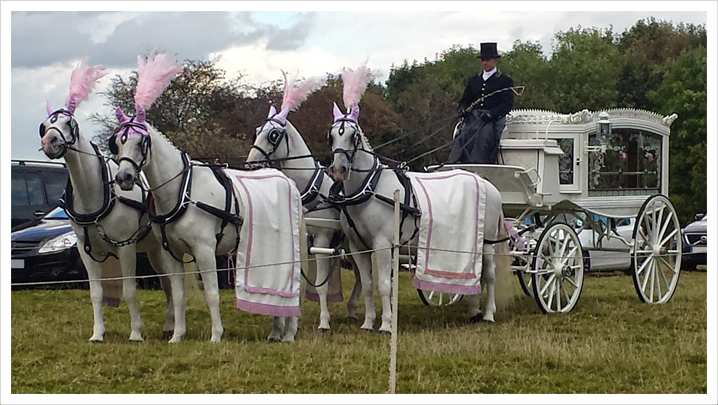 We offer a range of elegant and traditional horse drawn funeral carriages available in classic black or white design as well a pink hearse of the same style for a lighter approach to the final journey. 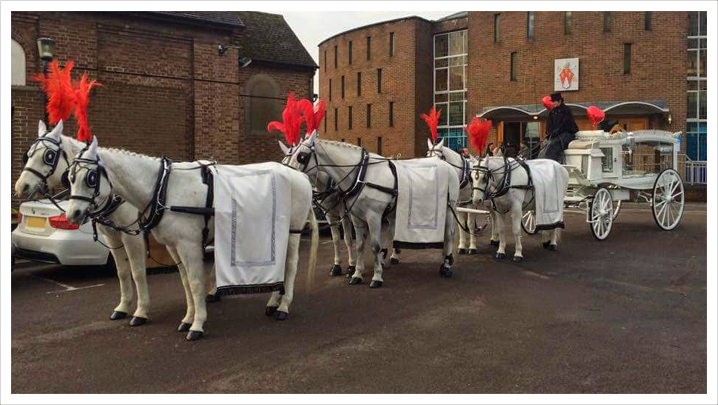 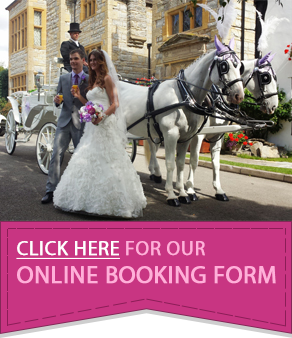 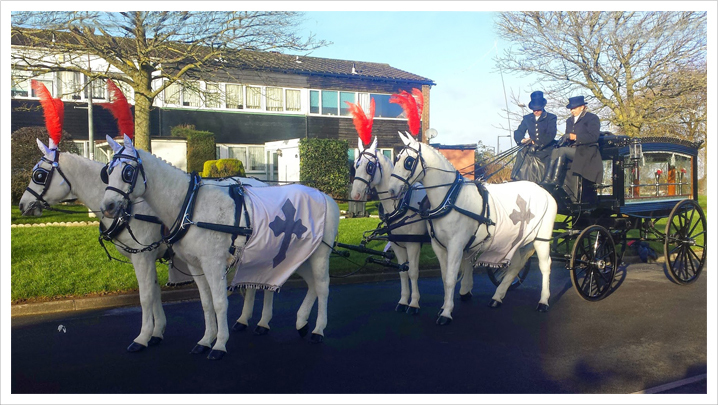 With black or white horses to choose from, our service can be further tailored with your choice of procession; ranging from a modest pair of horses, traditional team of 4 or 6 in hand turnout to lead the funeral carriage. 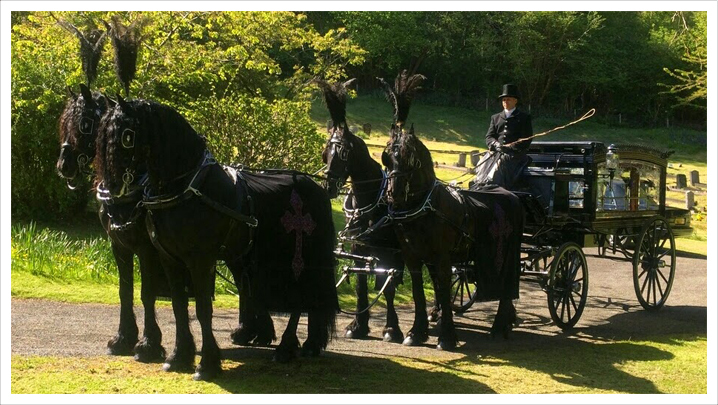 Our horses can be dressed in your choice of drapes and plumes including time-honoured all-black attire or joyful, bright dress in your loved one’s favourite colour. 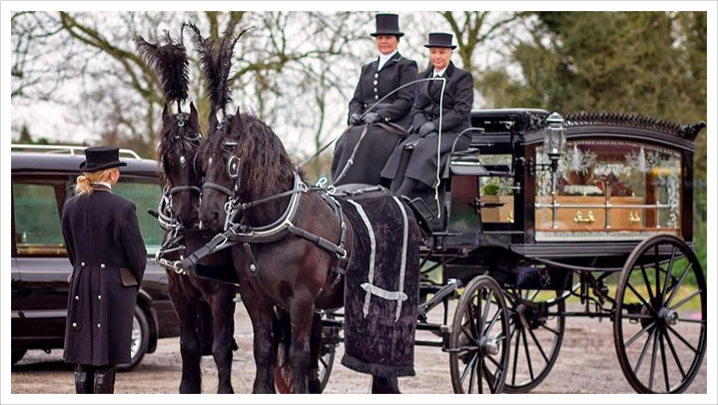 We pride ourselves on providing a thoughtful and caring funeral service, from the initial planning through to the final journey. 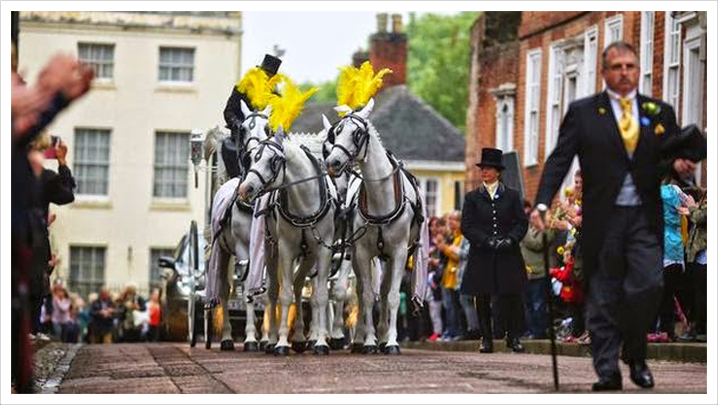 Before the day, we will have a ‘dry run’ of the route to ensure that our Coachmen are familiar with the journey and the procession runs as smoothly as possible.